Topshelf Records sure know how to pick ’em. They have a knack for churning out incredibly talented artists who release equally brilliant albums. A prime example would be Have Mercy and A Great Big Pile Of Leaves’ exceptional releases on the label earlier in the year, so I had high hopes for Jess Abbott’s latest effort. Most commonly known for the contributions to Now, Now, Abbott has been releasing solo material for a few years, but ‘Tancred’ is the first of her albums I’ve listened to, and after doing so I’ll be sure to check out her other releases. ‘Tancred’ is a charming slice of acoustic driven rock music, mixing elements of folk, pop and even emo on a few songs. Opener, ‘The Ring’ kicks things off with the line ‘I barely perceive the world as it slips from my mind‘ and sets the tone for a personal album. It’s one of the most upbeat songs on ‘Tancred’, bouncing along on simple guitars, whilst Abbott instantly displays her graceful yet powerful vocals. It’s a more traditional pop song that stays clear of any gimmicks as a means to really engage the listener. Like the ten songs that follow it’s incredibly genuine. Abbott is a real artist who puts heart into her music, and it’s beautifully obvious. As the first line suggests ‘Tancred’ is a fairly intimate record, as most solo releases are, but Abbott has a clear talent for storytelling and songwriting that makes the record more of a journey than a simple collection of songs. Songs like ‘Hard To Leave’ and ‘Indiana’ focus on past relationships with Abbott lamenting ‘How did I become so obsolete?‘ on the latter. It makes for an absorbing and affecting record that has a lot to offer, despite it’s occasionally simplistic approach. There’s a good amount of traditional acoustic songs like ‘Radio’ that you’d expect of a solo release but there’s also several up tempo tracks like ‘Indiana’ and ‘Twelve’, with noise rock elements and layered instrumentals. Haunting and dramatic closer ‘The Worst Kind’ is one of the more stripped back songs, and a stark contrast to the upbeat opener. The more reflective and somewhat harrowing tracks like these are where Abbott really delivers on multiple levels. You hear something in her voice that you can connect with, and in most cases it’s because of how honest the record is. Ninth track ‘Thicker Than Blood’ displays a more aggressive and diverse vocal approach, with Abbott repeating the title numerous times in differencing styles. It’s also one of the shortest songs at just under two minutes. There are a lot of these ‘shorter’ tracks on ‘Tancred’, but it only makes for a more balanced album that never becomes repetitive and remains entertaining. Ultimately, the whole record is a breathe of fresh air in a musical climate where solo female vocalists often play lacklustre music, whereas Abbott plays music that matters to her, but will also matter to other people. The sense of intimacy you get listening to ‘Tancred’, through both it’s gentle and heavier moments is excellent and it’s a testament to Abbott’s talent as a musician. 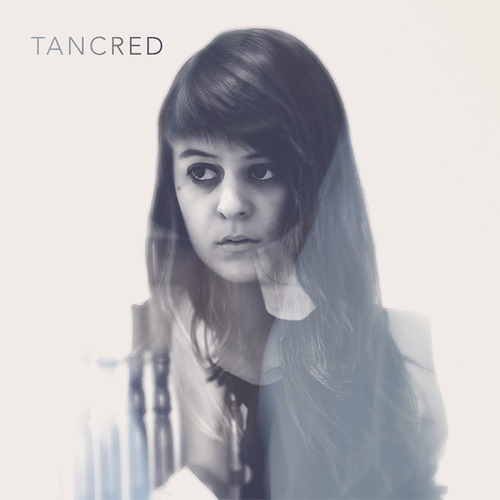 I found ‘Tancred’ to be a thoroughly engrossing listen. Partly because it’s surprisingly complex for a solo album but also because of how good it is. After numerous listens it’s still capable of drawing in a listener and enthralling them, and I’d definitely recommend it. It’s yet more proof that Topshelf sign artists who play and release music that means something, and ‘Tancred’ is no different.